I am DELIGHTED to confirm that Benro have sent me some of their beautifully made equipment to test them out on a long term deal but before I head out in the field with the items, I thought that I would film a couple of short videos for my YouTube channel showing me unboxing them while giving a brief initial review of what I found. FTA28CV1 Angel Carbon Fibre Travel Tripod with Ballhead (only 1.8kg). I have only filmed the unboxing of the first two items due to time constraints but I will film the unboxing of the travel tripod shortly. Click on the videos to watch my thoughts and if you would like to subscribe (it’s free of course) then please click on the red SUBSCRIBE button and then the little bell to the right of it. I hope the videos prove useful to those who watch them. Leave a comment or a question below the videos on YouTube if you wish. Hi Ian. They do not but we’ve spoken about this and Novoflex is what you recommended. Good idea too. 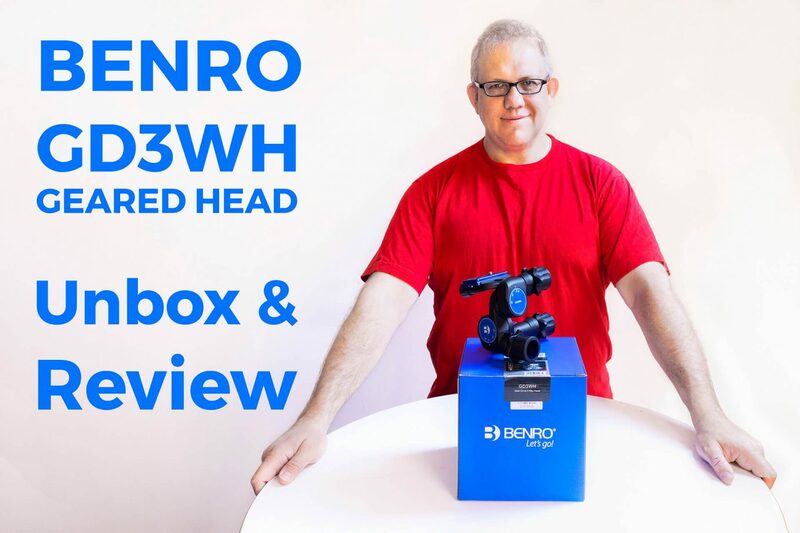 I watched your YouTube video on the BENRO GD3WH geared tripod head and I bought one. I expect delivery soon and based on what you have described, I am confident that it is a quality item that will fit my macro photography needs. Thanks for the informative review. Excellent to hear. I hope it serves you well. I’m really enjoying mine for sure. It’s a beautifully made piece of kit and so light too, especially for the money. Let me know what you think once you’ve tested it for a while. I’ll be interested to hear. Will the geared head fit on the Travel Angel tripod instead of the ballhead? And if so, is it suitable for use on that tripod? Hi Paul. Yes the GD3WH Geared Head does indeed fit the Angel FTA28CV1 Travel Tripod. I will email you a couple of photos to show you it fitted. Hi Melvin. I have bought both the TMA48CXL and the GD3WH and all are working well apart from one small problem. I have a Neewer levelling base which when fitted contacts the lower control wheel of the GD3WH and does not allow it to function. I need a riser/spacer to lift the head up a little. Any recommendations? Hi Paul. I shall reply directly regarding your enquiry.